After the death in a prison hospital of the Italian mafia’s “boss of bosses”, Sicilian chief Totò Riina, some might wonder: who now rules the world’s most notorious criminal network? There is no straight answer. The Sicilian cartel is only one part of an heterogeneous landscape of criminal groups. To a non-Italian, the term “mafia” has become an all-inclusive word that encompasses the various unlawful organisations active in the racketeering, drug-trafficking and murder business. However, Italian organised crime is multi-faceted and the truth is that the Sicilian syndicate has lost prominence in the overall power balance. After Riina’s imprisonment in 1993, the Italian mafia weakened. His violent strategy had culminated in the 1992 killings of two prominent anti-mafia judges, Giovanni Falcone and Paolo Borsellino. Yet the bombings – a direct attack on the state – created a “suicidal” backlash for the mafia. The crackdown since then has almost annihilated the Sicilian cartel who, as a reaction, has gone progressively incognito, abandoning the blatant, confrontational strategy pursued by Riina. Matteo Messina Denaro, Cosa Nostra’s most-wanted man – believed to be Riina’s successor at the top of the organisation – has been on the run from 1993. He is accused of at least four murder but disappeared at the age of 31.
Who is the most powerful mafia in Italy? The criminal group that has literally boomed is the ‘Ndrangheta, a syndicate that “shows a very dangerous ability to colonise the territories where its members are located. Today it represents the main challenge to the institutions”, said the prosecutor who helped arrest Riina. This organised group spawns from Sicily’s neighbouring region, Calabria, and has slowly became the most powerful syndicate from the early 2000s. It is completely independent from the Sicilian Mafia and can boast a global turnover of 53 billion euros, mainly coming from drug trafficking, an army of approximately 6,000 members globally (other sources put this figure at 60,000) and almost 400 armed groups operating in over 30 countries. In other words, it sits on a pile of cash as high as McDonald’s or Deutsche Bank’s , worth 3.5% of Italian GDP. A recent arrest has shed light on how Cosa Nostra elects its executives. If the Sicilian cartel is a top-to-bottom organisation with a pyramid structure, the ‘Ndrangheta has wider international ties. But it is still a family business at heart. Orders to members stem from the small town of San Luca, framed by the foothills of the Aspromonte massifs, the cradle and epicentre of ‘Ndrangheta, whose core group is known as “la Mamma”, “the Mother”. Its blood ties are strong, therefore very few are willing to turn supergrass and collaborate as police informers. No one betrays the family. An example of this claim dates back to 2009, when a Calabrian-born woman called Lea Garofalo decided to expose her former partner’s illicit trafficking but ended up being killed and burnt alive by a gang, which included her ex. The port of Gioia Tauro, controlled by the ‘Ndrangheta, is know as the European entry point of cocaine, with total seizures for 2016 accounting for 1.7 tons of the white powder, mostly arriving from South America. What Roberto Saviano describes in his famous book Gomorra is the Camorra and is based north of Calabria, in Campania and around its capital city, Naples. Camorra is the oldest criminal group in Italy and, unlike the Sicilian mafia, does not have a unique centre of command. It has more of a horizontal structure and features independent clans ready to battle each other for supremacy. It’s a much more violent organisation compared to the Sicilian Mafia and the ‘Ndrangheta because of the continuous fights for territorial dominance amongst its factions. Camorra’s tendency is to settle most disputes with the use of brutal force: in the most recent years it has left a bloodier trail than the two other groups. Lacking a pyramid structure, its illegal revenues have been estimated by Italy’s Minister of Home Affairs as being around 3.75 billion euros-a-year. The Castel Volturno massacre in 2008 has been possibly the most notable slaughter perpetrated by a confederation of Camorra’s clans, the Casalesi, leading to the death of seven people and the deployment of 400 troops in the area by the Italian government. Casalesi, operating in the province of Caserta, is one of the most influential criminal groups in the world, specialised in international drug trade and boasting alliances with Albanian mobsters and Nigerian crime syndicates. Journalist Roberto Saviano estimates their total assets as being worth around 30 billion euros at the peak of their activity, in 2008. 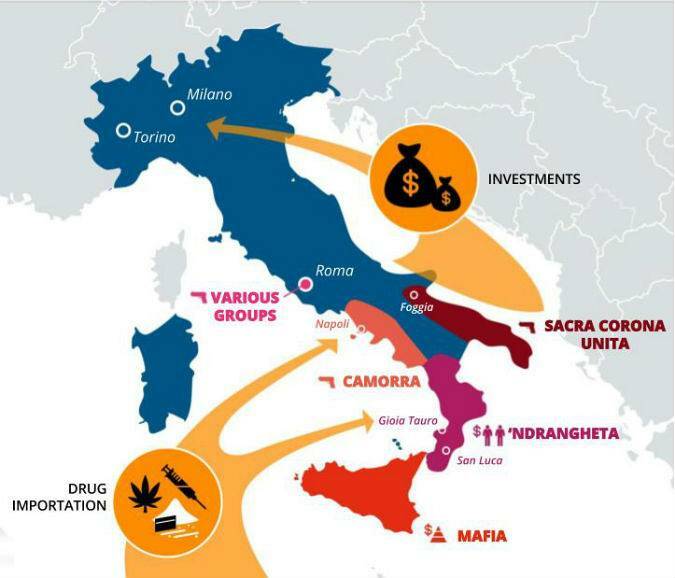 If Camorra’s groups’ business interests are everywhere in Italy and in Europe, most notably in Germany and Spain, their core territory remains confined to Campania, Naples’ region. International illicit deals happen with the “permission” of ‘Ndrangheta, who seems to be the Italian group with the monopoly of the global drug trade. At least for now. ‘Ndrangheta and Camorra are also very active not only in drug trafficking and extortion, but also in the allocation of public contracts in the north of the peninsula. In fact, mafia is northern Italy’s problem too, as OpenDemocracy puts it. Despite a recent stream of corruption scandals – which has revealed ties between politics and far-right groups (such as the Magliana gang) – had been named “Mafia Capitale”, the situation in Rome reminds more Camorra than the Sicilian Mafia. Various local criminal groups, including right-wing mobsters and family clans with Sinti origins, are fighting to take the spoils of the capital. Yet, the Eternal City has always been central in every criminal syndicate’s affairs. Dozens of restaurants and food business operating in the Colosseum area have been recently seized by authorities with the accusations of being money laundering hubs for Camorra’s bosses. Last weekend Italy’s populist Five Star Movement won a local election in Ostia, a seaside suburb of Rome once ruled by organised crime, where the local government has been dissolved due to its infiltration by the mafia. 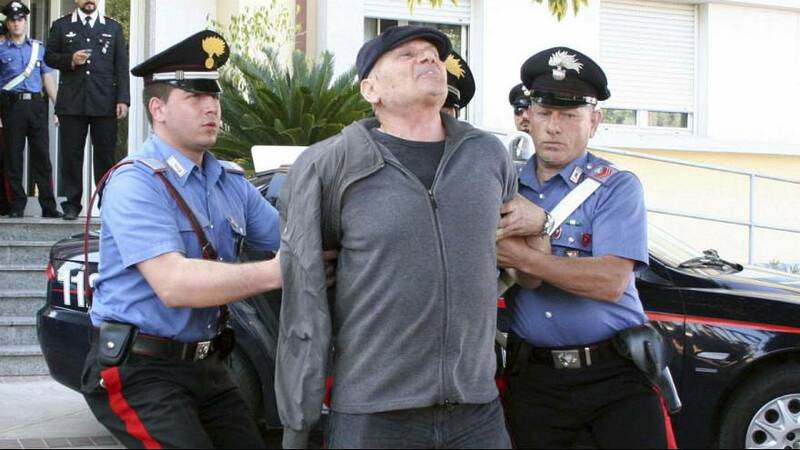 The issue has recently hit the headlines of newspapers all around the world as the brother of Ostia’s mafia boss broke a journalist’s nose during an interview. The headbutt has been taped on camera and sparked outrage throughout the country. In Puglia the local mafia is known as Sacra Corona Unita. The youngest of all syndicates, founded in 1981, it consists of about 50 clans with approximately 2,000 members and specialises in smuggling cigarettes, drugs, arms and people. In August, a bloodbath in which hitmen executed four people (a local boss, his brother-in-law and two innocent witnesses) has sparked concerns about a surge of its criminal activities. Once considered a minor syndicate, the mafia of Gargano is territorially limited but has widespread international connections and leverages on the silent support of some sectors of the population, combining ruthlessness and archaic traditions with the ability to infiltrate the modern economy – taking advantage of the low level of national attention enjoyed so far.